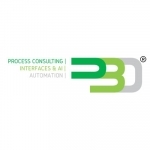 PBOPlus derives its name from the management principle of the Process Based Organisation. We are a niche consulting company which provides business solutions to a CEO/Business/Business owner to alter Value-Cost Equation. PBO Plus deliver solution which are unique, innovative and have quantifiable impact on the capital, customer, process and people. It enhances the capability of the Business to deliver better operation results by providing an infrastructure of processes. 1. Account Planning & Lead Generation through various sources like Existing Databse, Google,Cold calls and Industry references. 2. Contact and maintain the relationship with the new potential customer in terms of new business acquisition and renewals of the contracts and provide them an online demo of the BPI/Independent Application to them. 3. Fix up a meeting with the customer and analyse their requirement of automation and suggest the solution according to the needs and forward qualified leads to the reporting manager. 4. Maintain the database of the customers and maintain a healthy funnel in terms of quality and quantity. 5. Managing the end to end sales cycle from prospecting to closure and check with the good references. Enterprise Sales, Solution sales, Inside Sales Concept Sales, Software Sales, Handling Corporate and Enterprise Accounts, Excellent Communication Skills, Presentable & Go getter attitude. HR Executive at Pboplus Consulting Services Pvt. Ltd.